The internet would have you believe that everyone does everything online these days. Why write a letter when you can send an email? Why leave a business card when you have LinkedIn? Why send a compliments slip when you can follow up by email? But the fact is that business stationery does still matter. In fact, you could argue that it’s never been more important for businesses than right now. From building brand awareness to networking, business stationery allows you to forge a lasting connection with customers and clients in an environment of forgettable virtual communications. So why does business stationery printing still matter? What can it do for your business that online replacements can’t? Professionalism matters and business stationery expresses that perfectly. Letterhead printing, for instance, guarantees you’ll start every communication with a professional statement about who you are, this will undoubtedly lend credibility to your business. Business stationery allows you to connect with your customers and clients in a way that’s more meaningful than many online touchpoints. Compliment slip printing, for example, is a very economical way to connect with customers and continue a relationship following an interaction or purchase. Following up with email is possible, sure… But with all the noise in people’s inboxes these days, chances are it’ll just get lost. With business stationery printing, you can achieve real consistency in your communications with clients and customers. With email, you run the risk of employees using different fonts and formatting. Even with guidelines, it’s easy for inconsistencies to creep in. 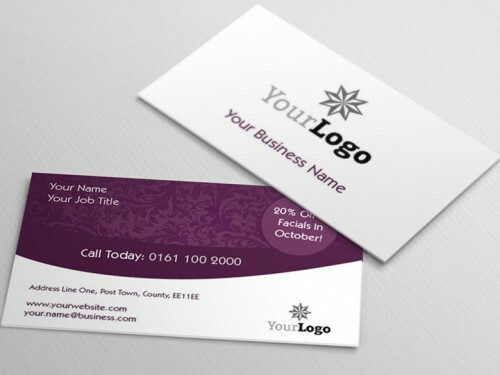 Using a business stationery printing service enables you to portray a consistent image. Not sure whether business card printing is worth it in this day and age? Think again. Printed on high-quality card and designed to reflect your company’s ethos, business cards can be a far more powerful networking tool than adding a contact to a mobile phone. They don’t simply disappear into a phone or get washed away by a flood of emails. A business card stays with the client – a tangible reminder of the company or individual. Business stationery — be it business cards, letterheads or compliment slips — is about more than just practicality. It’s about professionalism. In the digital age, using printed stationery projects serious business values and creates a connection with clients that’s far more memorable than email. We have been supplying a large and ever-growing range of high quality print products since the 1970’s. We supply business stationery, promotional products, printed NCR, signs, display boards, canvas prints, booklets, leaflets, flyers, labels, stickers, banners, posters, calendars, envelopes, postcards – you name it we probably do it. And if we haven’t before we’ll see if we can help you out. We pride ourselves on the quality of our products, our excellent customer service, and the value for money that we provide.